Harmony Home Health & Hospice helps ensure a smooth transition home from the hospital. Receiving the green light from hospital staff that a senior is free to return home is such a relief, but can also raise a variety of questions and concerns. What restrictions are in place as the senior recovers? What medications are prescribed, and what are their potential side effects? Will the senior be able to manage everyday life independently, or will someone need to be on hand to help? The ultimate goal when a senior returns home from a hospital stay is to remain healthy and avoid a potential rehospitalization. One of the best ways to achieve this goal is by partnering with a professional home health care agency, such as Harmony Home Health & Hospice, to ensure a smooth and safe transition from hospital to home. Hospitals will provide in-depth discharge paperwork to outline details on diagnosis, treatment, and follow-up recommendations, but will likely not address specific needs in the home, which of course are crucial to understand. 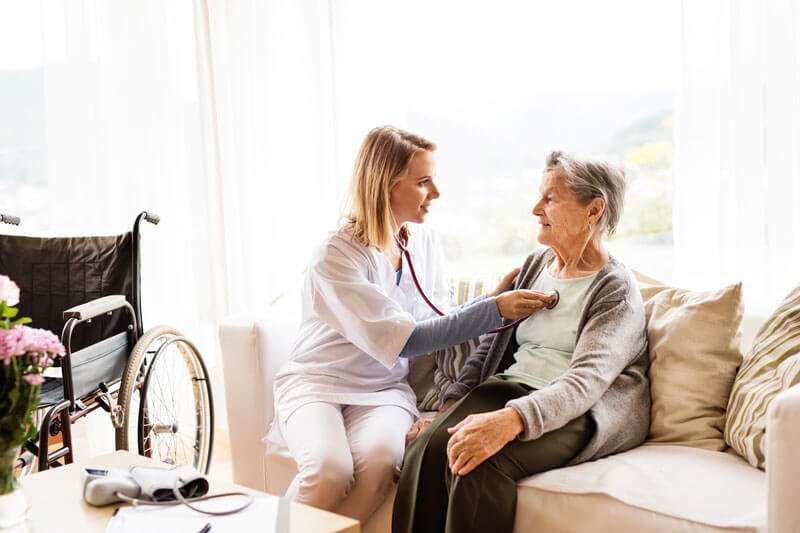 A home health care provider has the skill and experience to help ensure that not only are doctors’ orders followed after discharge, but that the home environment and activities of daily living are conducive to the person’s recovery. If your senior loved one is facing an upcoming surgical procedure or hospitalization for any other reason and you’d like to explore options for ensuring a smooth recovery and transition back home, contact the home health care team at Harmony Home Health & Hospice in Utah and New Mexico. We can create a customized plan of care to meet individual needs, before, during, and after a hospital stay. Call us at 877-I-NEED-CARE (877-463-3322) with any questions or to arrange for a free in-home consultation.